Today’s post features a recipe for a veggie-packed version of a classic comfort food: tater tots… except this version is completely potato-less. 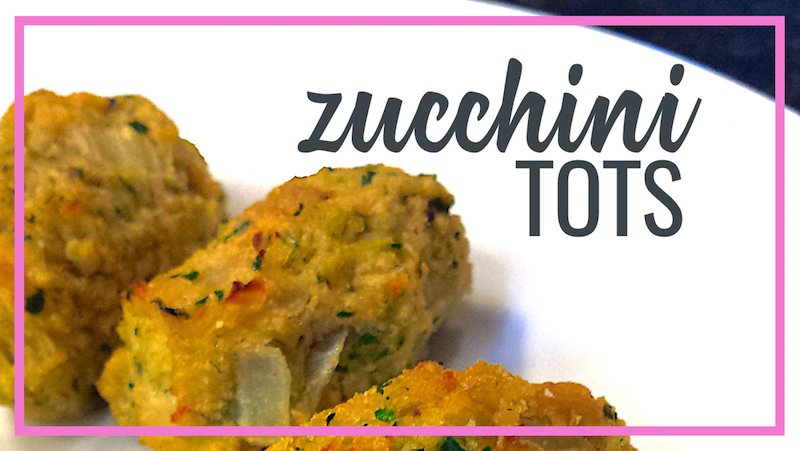 Whether you’re avoiding potatoes for health reasons (like food sensitivities) or you just want to find different ways to use other vegetables, these zucchini tots are awesome at satisfying that tot craving. Grate the zucchinis and set aside. Heat the butter/oil in a pan over medium heat. Add the diced onion to the pan and cook until translucent (about 5 minutes). Add the riced cauliflower to the pan with the onion and sauté for around 10 minutes (or until cauliflower is tender), stirring occasionally. While the cauliflower is cooking, wrap the shredded zucchini up in a clean cloth/dish towel and squeeze as much moisture out as you can. In a large bowl, combine the shredded zucchini, cauliflower/onion mixture, eggs, coconut flour, salt, pepper, garlic powder, basil, oregano, and cheese (optional). Mix well with a spoon or hands. Use a tablespoon to scoop out the mixture and shape into small ovals. Place the tots on the parchment-lined baking sheet and bake in the preheated oven for around 25 minutes, or until the zucchini tots start to brown. 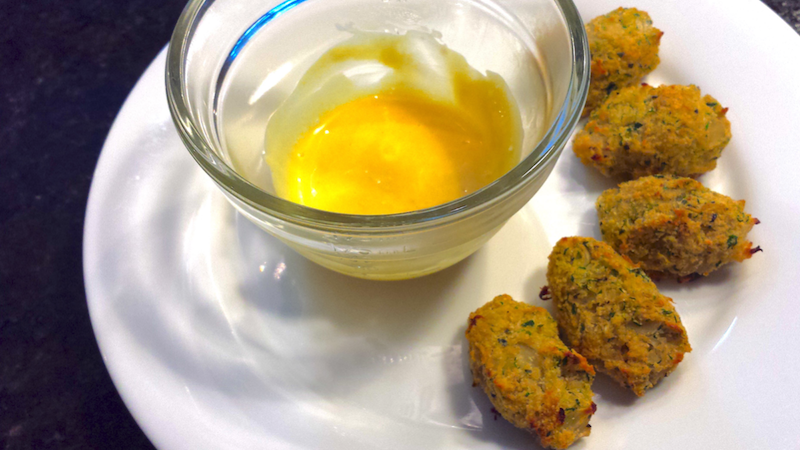 This recipe makes around 4 dozen zucchini tots. Tip: any extra tots can be frozen and reheated later! Let the zucchini tots cool on the parchment-lined baking sheet, then stick the entire baking sheet in the freezer until the tots are frozen through. Place the frozen tots in a freezer-safe storage container. To reheat, I’ve found that it’s easiest to heat a little bit of butter or oil in a pan over medium heat, then toss the frozen tots directly in the pan, cooking a couple minutes or so on each side, or until heated through.